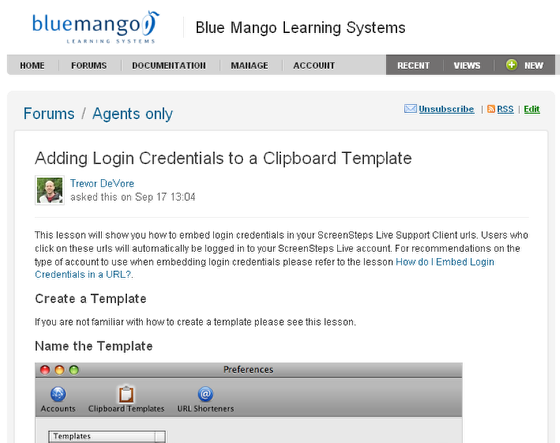 This lesson will show you how to export a lesson to a Zendesk forum. In the export dialog, select the Zendesk account you created earlier (1). 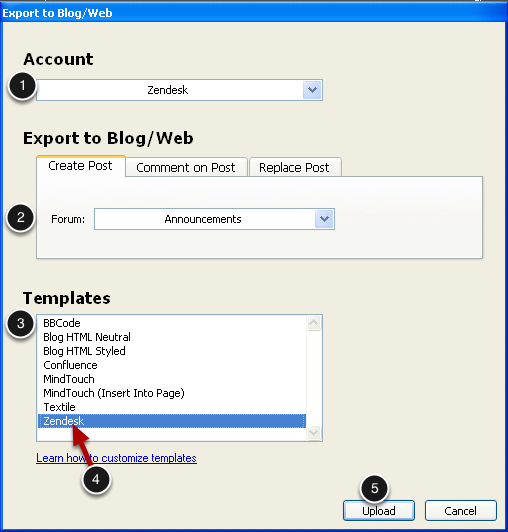 You can select the forum you would like to post to (2) as well as the template you want to use (3). 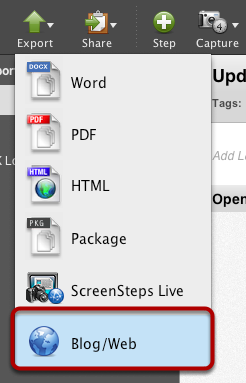 Here you can see an example of a forum post created using ScreenSteps.